What one thing would you do for the Migraine community if money were no issue? Now, this is an easy one! I’d fund Migraine research! To ensure that the research could continue regardless of what happened to the economy and continue following my death, I’d set up multi-billion-dollar endowment funds that would permanently fund research into the epidemiology, pathophysiology, and treatment of Migraine as well as research into the best ways to dispel the myths and misconceptions about Migraine and stop the stigma that surrounds it. 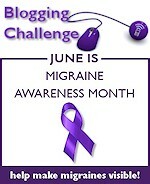 National Migraine Awareness Month is initiated by the National Headache Foundation. 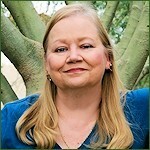 The Blogger’s Challenge is initiated by www.FightingHeadacheDisorders.com. To help raise awareness about Migraine, please Tweet this post with the hash tags #NMAM and #NMAMBC and share it on your Facebook page. Thank you!